The secret to contentment lies within you. ​Today, before the day ends, I have this tiny little secret to tell you. Do you look at your shelf decorated with numerous laurels and medals and try to search for it? Or in the midst of your school grades? Or is it in the flawlessness of your skin? Or the words of people who may have blurted them out not even knowing you take them so seriously? That one thing we call contentment. Because I’m going to whisper it in your ear, about that one special place where you can find it. The exact quality which you deserve. It’s the purest form of contentment which has not been compromised because of anything or anyone. And I wish I could be standing right in front of you so I could point my finger right towards your heart. THAT is where it is supposed to reside and that is the only place where you shall look forward for it to be created. 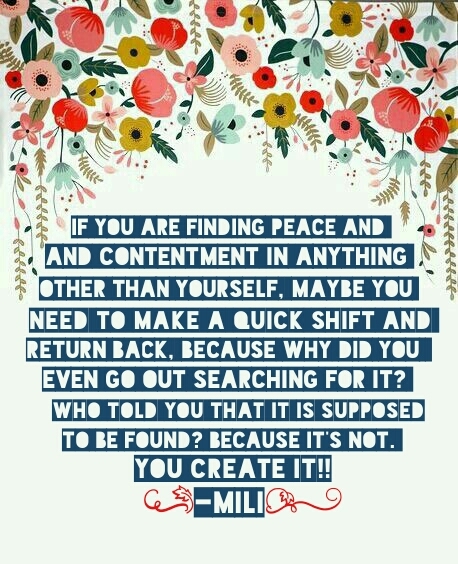 If you are finding peace and contentment in anything other than yourself, maybe you need to make a quick shift and return back, because why did you even go out searching for it? Who told you that it is supposed to be found? Because it’s not. YOU CREATE IT!! It’s a beautiful notion that you create within yourself and keep on reminding to yourself every single day till your demise. It just is there and it never comes from the worldly qualifications, no shield will yield it, no better grades will alter it, no fall ever has to threaten it and no injury has to ever damage it. Its like the song you write and vow to sing it to yourself every single night. 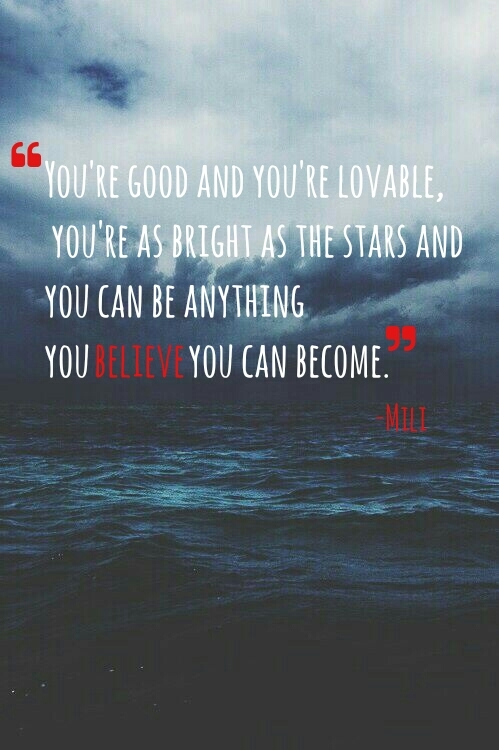 You’re good and you’re lovable, you’re as bright as the stars and you can be anything you believe you can become. You are always worthy of the best you’ve seen. And no failure can ever decide the opposite. 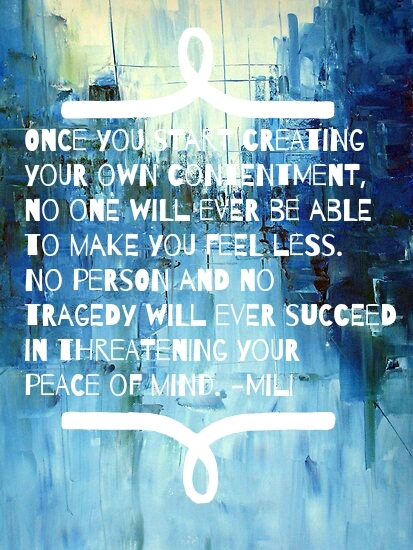 Once you start creating your own contentment, no one will ever be able to make you feel less. No person and no tragedy will ever succeed in threatening your peace of mind. That is the secret behind true happiness and satisfaction and you’re just one step away from knowing the taste of it.